Some actors put their lives on the line sometimes for their jobs. 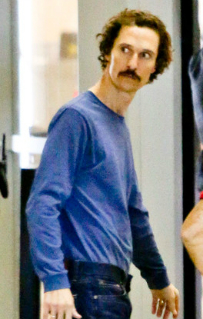 Actor Matthew McConaughey, who usually looks buff and handsome especially after the movie “Magic Mike”, looks alarmingly thin these days. But there’s no need to panic at all because all this is for his upcoming movie, “The Dallas Buyers Club”. He was photographed at LAX over the weekend looking even thinner than when he was first trying to shed off his “Magic Mike” muscles. This was all within the plan of his weight loss to be able to play the role of Ron Woodroof, an electrician from Texas who has been diagnosed with AIDS and had only six months to live. The movie is set in the ‘80s around the life of Woodroof. This is said to be inspired from a true story and stars Jared Leto and Jennifer Garner along with McConaughey. It’s directed by Canadian director Jean-Marc Vallee and is set to be released in 2013. McConaughey is at his lightest weight and is now about to start shooting the movie in New Orleans today. He’s down more than 30 pounds his usual weight. He plans to keep this way for a month or more and then will begin gaining his weight back again. The actor had stopped shedding of some weight, which he only lost in a span of three months. Britney Spears Admits That "Dieting Is Tough"